SOVA SILVER P-P 40/40 - ALERGSOVA Sp. z o.o. 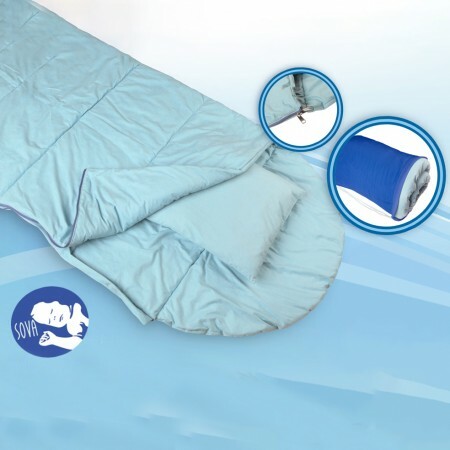 SOVA Pillow Encasing is made of Evolon® fabric – protective barrier against mites and their droppings (allergens). Moreover, our special technology of sewing prevents penetration of allergens on seams and by zippers as well. Evolon® is characterized by high permeability of steam, resistance to frequent washing in high temperatures; it is light and soft to the touch. In the process of production, no multiple layers or lamination were applied. Moreover, Evolon® prevents the development of fungi. - Evolon® 130 Ag „SILVER” - weight 130 g/m2, percentage of silver fibres 5% - with anti-mites and antibacterial properties. 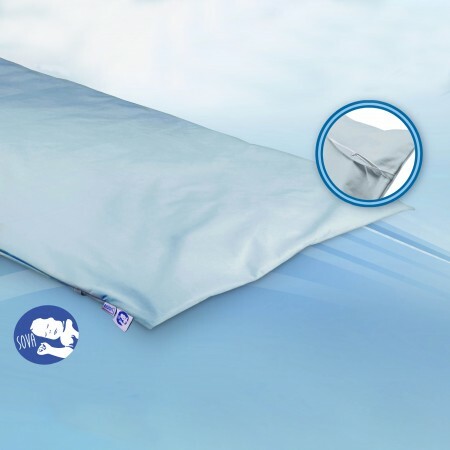 The efficiency of Evolon® for allergic individuals is confirmed with certificates issued by ECARF (European Center for Allergy Research Foundation), as well as by the results of research run by independent institutions, such as: Hygiene-Institut des Ruhrgebiets, Gelsenkirchen (Niemcy), IBT Reference Laboratory (USA). Anti-bacterial properties of the fabric have been positively evaluated by Hohenstein Research Institute, Bönnigheim (Germany). Evolon® does not contain harmful substances and is perfectly suitable for child's skin that is confirmed with the Öko-Tex® mark. 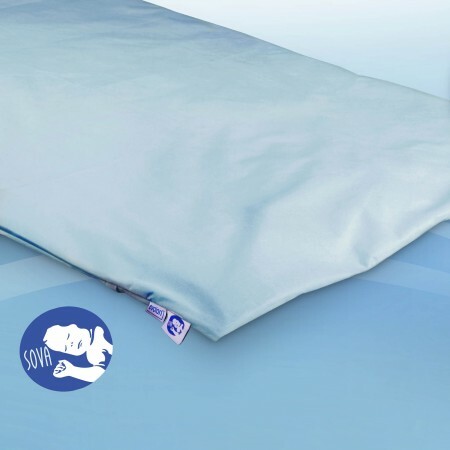 SOVA Pillow Encasing is intended for home use as internal lawyer on the pillow - the main habitat and the development of house dust mites. SOVA Counterpane can be washed as often in temperatures up to 95° C.
When washing do not use softeners.